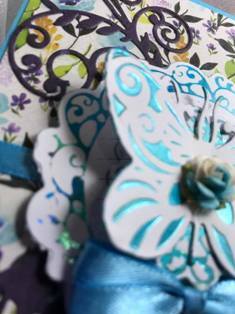 This card began with a blue cardbase, to match the design paper I was using. 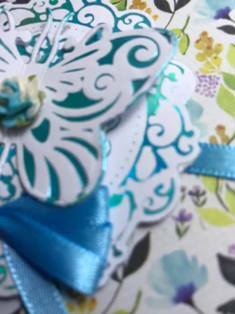 I cut it to size, then added matching blue ribbon across the front. I also made a bow with the same ribbon, which I would use later. 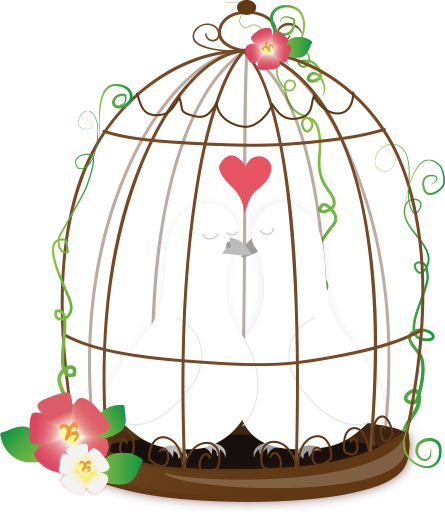 After adding the design paper to the base, I cut and embossed the beautiful Cut, Foil and Emboss Modern Essentials Decorative Nesting Lacy Frames – using the two smallest sizes. Foam tape was added between the layers to give dimension. 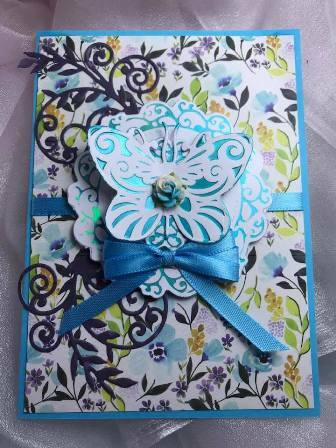 I felt it was looking too bare at this stage, and added the butterfly, using the same foil and the Nouveau Butterfly Cut, Foil & Emboss Die. I added a matching flower to it. 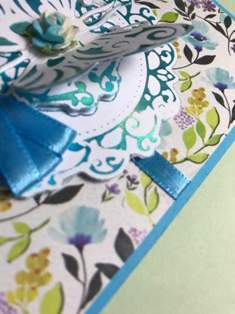 Lastly I cut out two pieces with the Morning Flourish Decorative Die, using a complimentary colour to the design paper, and then added the bow. And that was my card made.